Be among the first to own the limited edition 2018 1oz Britannia Oriental Border gold bullion coin. The Britannia is, of course, one of the signature coins of the UK Royal Mint as well as a world leader, and this special edition for 2018 celebrates Britain's commercial ties with China. It’s a must for collectors of British gold coins and a great choice for investors who want to convert capital into .9999 pure gold. Whether you want to make the Britannia Oriental Border gold coin the centrepiece of your collection or whether you simply want a safe, solid investment, this 2018 special edition is a smart buy. Several versions of the Britannia have been issued since the coin made its debut in 1987 and, while the design of proof coins is changeable, bullion coins retain the classic reverse design by Philip Nathan. The legendary Briton is depicted with shield, trident and olive branch against a sunburst background and with a beautiful Oriental border. The obverse bears the portrait of Her Majesty, Queen Elizabeth II by Jody Clark against the recently introduced guilloche background that acts as an extra security feature. 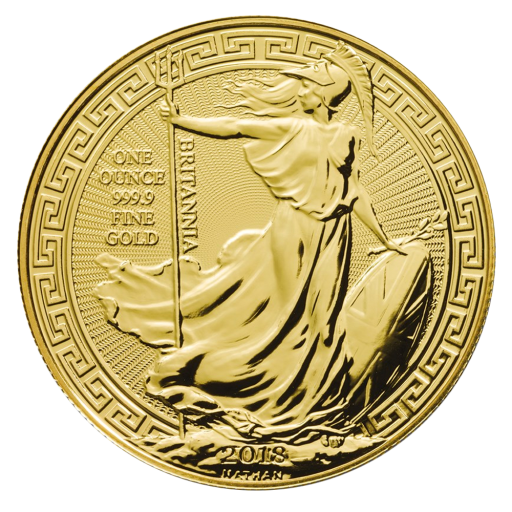 Why choose the 2018 1oz Gold Britannia Oriental Border? With just 5,000 pieces available worldwide, the 2018 1oz Gold Britannia with Oriental Border is destined to be among the year's most sought-after coins. Lower mintages add to the rarity factor and enhance the coin's tradability. It’s one of just a few internationally famous bullion coins to be struck from 999.9 gold and the 2018 Oriental Border Gold Britannia is also VAT free and exempt from Capital Gains Tax. Order the 2018 1oz Gold Britannia Oriental Border today with coininvest.com for fast, secure delivery. Single coins are shipped in plastic capsules while larger orders come in foil trays of 20 or boxes of 100. Happy. but. there is no certificate. I'm beginning to understand. I will continue to cooperate. Lithuania.